When I take CBD isolate (not full spectrum), my entire sinuses clear right up. That's not even why I'm taking CBD but what a side effect. Turns out that there is quite a bit or research to back CBD's effect on allergies and not a minute to soon. More than half of the US reports having allergies. The numbers for women goes even higher! Yes, higher than 1/2. That's a lot. There's an interesting tie with estrogen which we'll discuss below. Maybe more alarming is the trend line. This was from roughly 1998-2008. The trend has only accelerated since then. Most importantly, we'll see what research is showing on CBD and Allergies and Histamines. Finally (and this is a big one), we'll talk about why your choice of CBD may actually cause more harm than good for allergies and histamines. Is this all the result of one thing in the body? It's your immune system going haywire. We'll start with the basics and then get into some interesting thoughts on why allergies is just one sign of our modern world's health crisis. Here's the basic mechanism we'll keep track of for later. When the body comes in contact with a foreign entity (pollen, food, medication, bee sting, etc), the immune system jumps into gear. It has to quickly determine if the foreign entity is no big deal or a threat to our very survival. It's doing this billions of times a day across the entire body. It works primarily where we come in contact with the outside environment. Most of this is the skin, the gut, and the mouth/nasal passages. The immune system really resides in the gut which is critical for later. With an allergic reaction, the immune system triggers mast cells to release histamine. Histamine is at the heart of the symptoms of allergies. Basically, histamine's job is to get those allergens (pet hair, pollen, food, ect) out of you as quickly as possible. Usually this is through the skin or digestive tract. Hence the watery eyes, sneezing, coughing, etc. Histamine creates inflammation at the site which signals the immune system to send repair chemicals. That's your swelling, redness, and more. Some foods are naturally high in histamines as well. In fact, a percentage of the population has histamine intolerance which usually means that their DAO pathway is impaired. DAO is the genetic and chemical pathway that breaks down histamines once the threat is over. Smoked meat products - salami, ham, sausages. DAO primarily resides in the gut so that's going to be a key place to look in terms of allergies. Oh...and as for that bee sting?? There's histamine actually in the venom!! It's a common tool used by the plant and insect world for protection. Don't eat me or you'll get a nasty response. So...those are the basics of the allergic response and histamine release. Why is it on the upswing? Why in the developed world? Allergies are the result of the immune system over-reacting to pretty safe foreign bodies (pollen, pet dander, peanuts, etc). Kids raised on farms are less likely to have allergies. All this points to the hygiene theory. We're just too clean early in life. The immune system is not trained correctly and over-reacts. This isn't dogma yet in the scientific community but the above points (and others) definitely point to something there. All the new research is on the micro biome. The collection of helpful (and in some cases, essential) gut bacteria that almost act a separate organ for us. They are integrally tied into our immune system which shares residence with them in the gut. You can learn more about CBD and the Gut here. These "good" bacteria may hold the key to allergies and histamine response. From the same article, scientist then went on to narrow down the effects to 4 different strains of gut bacteria with a profound impact on asthma. They could even add these back to bacteria-free mice to instill the protection! Having antibiotics in the first 3 months of life can have a significant impact on allergies later in life! There's huge amounts of data on this phenomenon and it alls comes down to our micro biome. Possibly the greatest influence on all our modern diseases...Bar NONE. Before we get into the endocannabinoid system, how is the micro biome doing these days? Use of all have increased significantly in the last 40 years. The immune system is not functioning correctly under the weight of chemical exposure. A simple but powerful example. It was known in England when smallpox was ravishing the country (and continent) that milkmaids never got it. Cows have their own version of "pox"...cowpox. Lucky them. Scientists intuited that exposure to the cow pox was somehow protecting the milkmaids from small pox. They tested their theory or prisoners (or be executed) by applying cowpox puss to open cuts in the prisoner. They got sick but recovered. They then were "vaccinated" from smallpox. The word vaccine comes from the Latin word for cow. You can read all about the wondrous immune system in Daniel Davis' "The Beautiful Cure". There's so much research on the microbiome and allergies...we'd never get to anything else. So...let's eventually get to CBD and allergies. First...the system it operates in! Every body has an endocannibinoid system which spans major systems and almost all cell types. We share this system with most multi-cellular creatures all the way down to sea urchins. It's approximately 600 million years old. Obviously, the immune system is key to our discussion of allergies. Our innate immune system has its own endocannabinoids at work. Anandamide and 2-AG are the dominant ones. Early signs of a connection between the endocannabinoid system and allergies were found in animal studies. In an animal model for cutaneous contact hypersensitivity, we show that mice lacking both known cannabinoid receptors display exacerbated allergic inflammation. Remember the mast cells discussed before...the arbiters of our body's reaction to allergens?? The activation of CB2 receptors on mast cells has direct anti-inflammatory effects, causing decreased release of pro-inflammatory mediators by these cells. In terms of Asthma, the endocannabinoid system appears crucial in regulating smooth muscle response. This is also critical to blood pressure and other bodily functions. It has been shown that CB1 and CB2 on MCs have anti-inflammatory effects. CB1 downregulates MC degranulation, while CB2 downregulates the release of pro-inflammatory mediators. It's the biological equivalent of the smoking gun! Let's introduce one other character...IgE or Immunoglobin E. This is the one of the actual chemical released by mast cells that causes all the symptoms with allergies. Cannabinoid 2 (CB2) receptor involvement in the down-regulation but not up-regulation of serum IgE levels in immunized mice. In general, the system appears to be integral to bringing the immune response "threat level" from T2 to T1. T2 is where the allergy "hyper-active" response occurs. Okay...the endocannabinoid system is intimately involved in the allergic response within the body. CBD is an external cannabinoid found in the cannabis plant. It and THC are the two largest by volume. 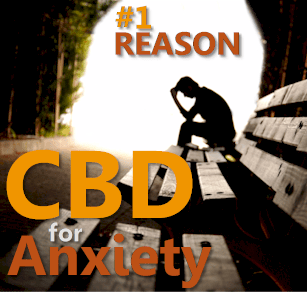 Unlike THC, CBD is not psychoactive and shows many positive results throughout the body. You can see all the research and articles on THC versus CBD here. CBD has shown great promise as being an anti-inflammatory both through the body and more importantly, in the gut. 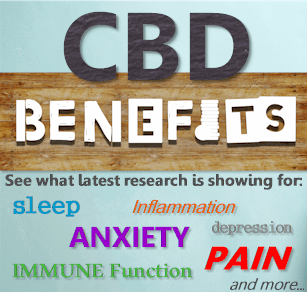 You can learn all about CBD and inflammation here or CBD and the Gut here. We'll skip those aspects and dive right into its effects specifically on allergies. We'll have an entire article on CBD and Asthma but a quick take-away. CBD treatment decreased the inflammatory and remodeling processes in the model of allergic asthma. Let's move on to skin, a source of much allergic suffering. This is the first demonstration of the anti-inflammatory properties of CBD in an experimental model of ACD. ACD is not the heavy metal band sans one letter but short for Allergic Contact Dermatist. Because allergic skin reaction is just too plain! Keep in mind that the allergic response across the body uses the same if not identical pathway. Whether it's runny noses, skin rashes, or closing airways, the underlying pathway is the same. Immune system triggers mast cells. Mast cells release inflammatory chemicals. Inflammatory chemical levels are reduced. It's the trifecta of allergic response! Let's look at one other important aspect of what type of CBD might be best if you have allergic and histamine issues! There's a great deal of froth over "full spectrum" CBD. Essentially, it's CBD with more of the plant material from hemp left in the mix. Except for THC which has to be under .3%. Usually. Some full spectrum still has traces of THC. 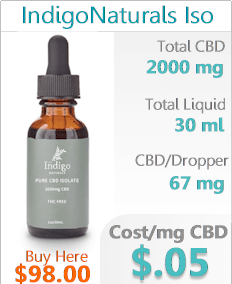 Look at almost every website that talks about CBD. Inevitably, they'll drop the "entourage effect" on you. This is akin to cannabis' "Just Do It" moment. You can read all about full spectrum versus CBD isolate (what all this research is based on) here. The net net in terms of allergies and histamines? If you are sensitive to allergens, having all that plant material can actually cause a negative response. Our gut says that the "side effects" of CBD are actually in response to the full spectrum plant material. Anecdotally, many people have confirmed this with their response to full spectrum and then CBD isolate (by itself). Try isolate first to see your body's allergic and histamine response. You can then try full spectrum to see if there's a difference. If allergies and histamines are intended target, let's not add additional allergens in the form of plant material to the mix! Also, full spectrum can have up to .3% THC. This is a small amount but NOT zero! There's a line of CBD which focuses on CBD isolate for histamine and allergy sensitive people here. Some people actually have allergic responses to THC itself! This partially depends on your intended goal. If it's mild symptoms of seasonal allergies, 25-30mg per day is a baseline wellness dosage. It's also a good test dosage to see how your body responds. 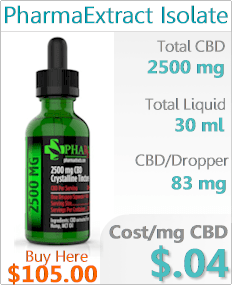 For more serious issues, 300-600mg is generally used in research on CBD. It has been tested up to 1500mg with a strong safety profile. 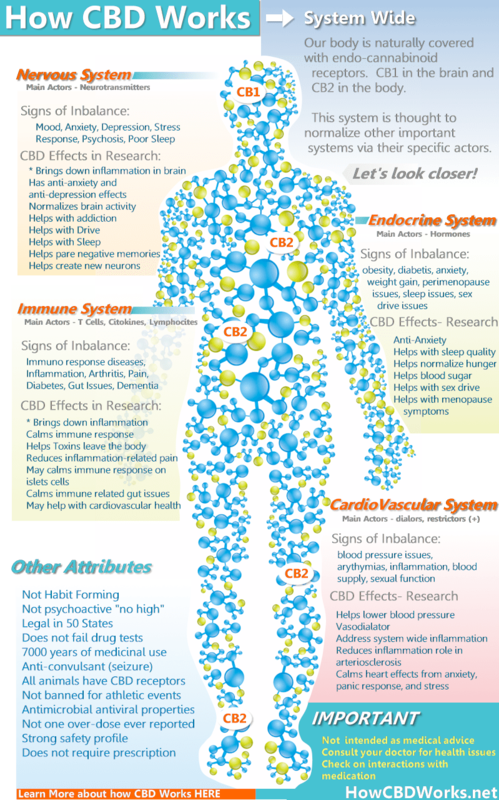 Check out the CBD dosage page or CBD and safety here. There is topical CBD balm but keep in mind, our allergic and histamine response is driven by our immune system. And that is primarily directed from our gut! 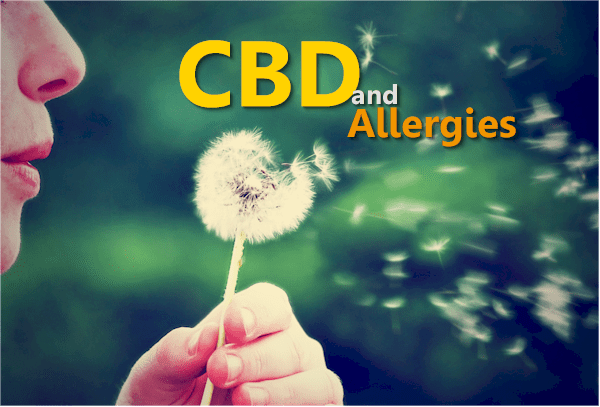 The CBD oil is currently the most effective way to treat systemic responses to allergens. As we mentioned above, we want CBD isolate so as not to put more of a burden on our histamine response. 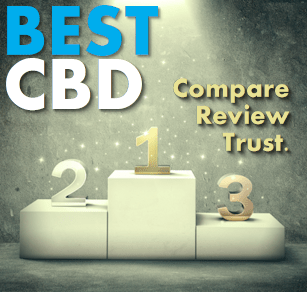 You can find a comparison by price of major CBD brands here.